One of the most common inquiries we receive is about the durability or longevity of a screen printed heat transfer. There’s a misconception that direct screen printing of a garment is superior to decorating with a screen printed heat transfer. The fact is, this is not 1970 and much has changed over the last 50 years. With a high-quality plastisol transfer product, proper application, and adequate care, a screen printed transfer should outlast the garment itself. This garment was decorated with Howard Multi-Purpose, a plastisol heat transfer product. After 3 years and well over 50 washes, the transfer is in better shape than the fibers of the garment it is printed on. 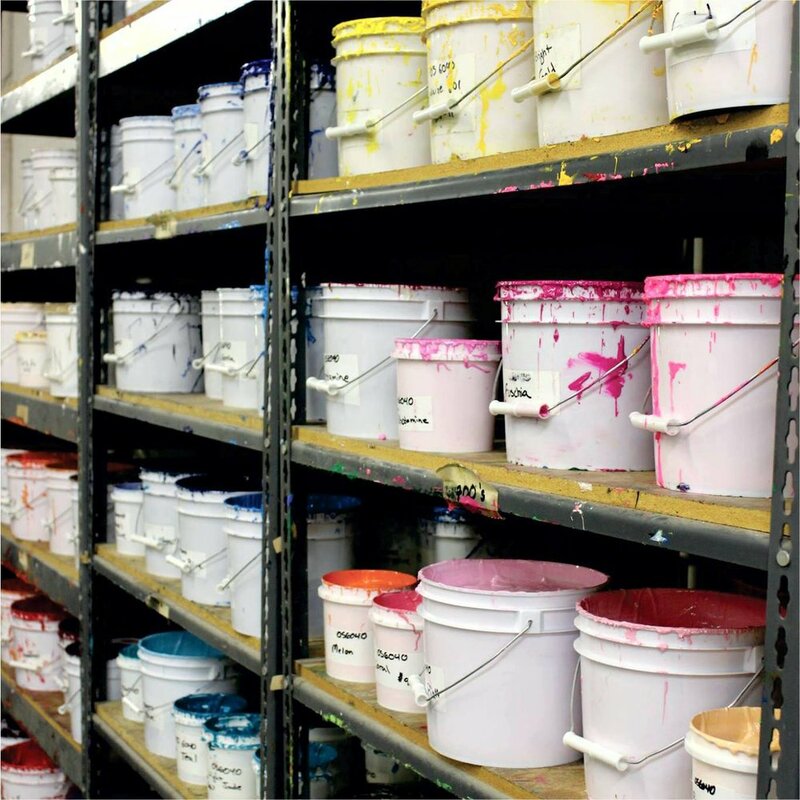 All of our inks are uniquely mixed in-house. All of our color formulas are custom made. We use an exclusive combination of adhesive powders and other additives. We precisely choose screens with fabric counts unique to each individual order. You can look at these variables as a “formula”. We have taken the time to create superior products that when properly applied and cared for have been tested to last beyond 50 wash cycles. It’s imperative that a screen printed heat transfer is properly applied, as improper application will cause adhesion issues, cracking, or hot splitting. There are three things you need to get right for a successful application: dwell time, temperature, and pressure. When you don’t have enough of any or all of these elements, your transfer will be under-applied. Too much and your transfer will be over-applied. Most common, transfers are under applied because the pressure is inadequate or inconsistent over the entire platen of your heat press. This can lead to cracking of the graphic over time, which is why it’s important to follow the supplied application instructions. If you’re operating a manual heat press with no digital pressure scale, consider the corresponding pounds of pressure listed above. Imagine using 40 pounds of pressure to close the platen when firm pressure is required. If you can easily close the platen, you probably aren’t using enough pressure…or you’ve been in the gym! Passing along care instructions to your customers can aid in extending the longevity of the decorated garment. Laundering suggestions often include washing inside out in warm water with a mild detergent. As with any decorated garment, it’s important to avoid high heat in the dryer as well as ironing directly onto the image. Provide care instructions to preserve the integrity of the heat applied graphic and extend the life of the garment.